Ring In 2018 at English Inn With Our New Year's Eve Dinner Special! Our New Year’s Eve Dinner Special is a four-course meal. This includes your choice of appetizer and entree, a house salad, and a dessert. The English Inn dinner menu will give you an idea of the entrees we offer, though New Year’s Eve will include some special additions! Your evening begins with an appetizer and fine wine from our nationally recognized wine cellar. If you’d prefer something else, our fully stocked bar and talented bartenders will be happy to mix a cocktail to your specifications. We also offer a selection of national and craft-brewed beers in bottle and draught. At midnight, you’ll toast the new year with a glass of sparkling champagne. 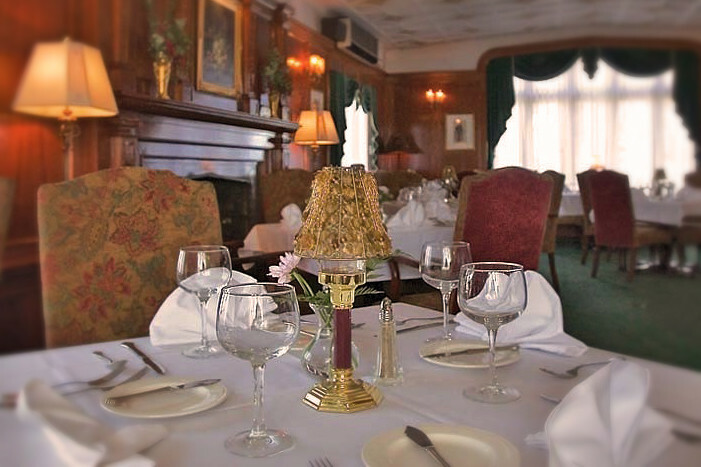 Best of all, English Inn’s New Year’s Eve Dinner Special is only $69 per person! Making a dinner reservation at our popular, Lansing area restaurant is always a good idea – but this is doubly true on New Year’s Eve. Happy Holidays from everyone at The English Inn Restaurant & Pub!